By increasing the rational faculties of animals, and by giving them the tools to better manage themselves and their environment, they stand to gain everything that we have come to value as a species. Humanity’s relationship with animals has varied drastically over the millennia. Animals were once (and some still are) our predators, contributing directly to the course of human evolution. They have inspired us to art—right from the time we were first able to translate our thoughts onto the walls of a cave. They have played an indelible part in our religions, at once the object of reverence, and later the object of our dominion. We have made them into our beasts of burden. They have entertained us. Animals have joined us in combat as our vehicles, weapons and messengers. We have kept animals as our companions, tried and punished them in human courts, moulded them into bizarre forms and driven entire species into extinction. Today, our relationship with animals is still changing, the most recent development being the rise of the animal rights movement. The modern animal rights movement was given its kick-start in 1975 by Australian bioethicist Peter Singer by virtue of his seminal book, Animal Liberation. Since that time, Singer has worked to advance the notion that personhood, in both the cognitive and legal sense, is not exclusive to Homo sapiens. To this end, he founded the Great Ape Project, which in addition to advocating for ape personhood, sets aside more modest tasks like establishing minimum space requirements for animals in confinement. Singer’s revolution is arguably still in its infancy, but there have been some breakthroughs in the past twenty years that are taking the movement to the next phase. New Zealand took the first steps by passing an animal welfare act in 1999 declaring that research, testing or teaching involving the use of a great ape requires government approval—a move that essentially banned the practices. Britain soon thereafter invoked a similar ban. More recently, in April 2006 members of Spain’s socialist party announced that it would introduce a bill calling for “the immediate inclusion of (simians) in the category of persons, and that they be given the moral and legal protection that currently are only enjoyed by human beings.” New Zealand is current working to introduce similar legislation, hoping to promote ape status from property to person. Such measures would represent a noteworthy step beyond mere moral consideration to that of enforceable protections. Should these bills be passed, states would be responsible for the welfare and protection of legally recognized nonhuman persons. And of course, there’s my Rights of Non-Human Persons program hosted by the Institute for Ethics and Emerging Technologies where we’re hoping to see a number of candidate species granted human-level rights and protections. The rationale behind these various efforts is the realization that some non-human animals and humans share similar psychological attributes such as the capacity for strong self-awareness, emotion, empathy and language. Work in genetics has revealed that the great apes and humans share nearly 98-percent of their genome. Various intelligence tests, brain scans and observations indicate cognitive faculties similar to those of humans. Given the mounting scientific and empirical evidence, it is becoming increasingly unacceptable to withhold consent in regards to acknowledging the presence of animal consciousness and emotional experience. As these initiatives move forward, and as the animal rights movement continues to evolve, it can be said that humanity’s relationship with animals has transitioned from subjugation to moral consideration. And tomorrow it will transition from moral consideration to social co-existence. Enhancement biotechnologies will profoundly impact on the nature of this co-existence. Today, efforts are placed on simply protecting animals. Tomorrow, humanity will likely strive to take this further – to endow nonhuman animals with the requisite faculties that will enable individual and group self-determination, and more broadly, to give them the cognitive and social skills that will allow them to participate in the larger social politic that includes all sentient life. As many transhumanists and technoprogressives are inclined to point out, human enhancement offers an unprecedented opportunity for the human species to transcend biological limitations. These include not just the benefits of what may be gained, but also the benefits of what may be discarded. In terms of what humanity may hope to gain, there are potential enhancements such as greater health and wellness, increased intelligence and memory, improved psychological control, longer lives, and novel capacities. Some of the principal arguments in favour include the recognition of fundamental bio-rights that include reproductive, morphological, and cognitive liberties. Healthier people, it is argued, will also save individuals and their governments from spending inordinate sums of money that are currently required to battle all types of ailments, including the costs of aging itself. It is also argued that enhancement technologies will result in persons more capable and willing to engage in social and political causes. In this sense, transhumanism holds radical promise for the furtherance of democratic and participatory values. As to what humanity may hope to lose with biological augmentation, humans are poised to discard their often fragile and susceptible biological forms. It is hoped that the ravages of aging will be brought to an end, as well as the arbitrariness of the genetic lottery. More conceptually, human evolution is poised to go undergo an evolution of its own where it goes from unconscious Darwinian selection to deliberate and guided quasi-Lamarckianism. Driving this transition is the ingrained human desire to move beyond a state of nature in which an existential mode is imposed upon Homo sapiens, to one in which humanity can grow increasingly immune to unconscious and arbitrary processes. An emergent property of intelligence is its collective aversion to chaos; it perpetually works to increase levels of order and organization. These compulsions are held by many to represent strong ethical and legal imperatives. Given the animal rights movement’s goal to increase the moral circle to include higher animals, and given that a strong scientific case can be made in favour of animal personhood, a time will come for humanity to conclude that what is good for the goose is also good for the gander. Furthermore, it would be unethical, negligent and even hypocritical of humans to enhance only themselves and ignore the larger community of sapient nonhuman animals. The idea of humanity entering into an advanced state of biological and/or postbiological existence while the rest of nature is left behind to fend for itself is distasteful. Why uplift nonhuman animals? What is it that we hope they will gain? Ultimately, the goal of uplift is to foster better lives. By increasing the rational faculties of animals, and by giving them the tools to better manage themselves and their environment, they stand to gain everything that we have come to value as a species. The suggestion that a moral imperative exists to uplift sapient nonhumans implies that humans have an obligation to do so. Political and moral philosophers have struggled with the issue of obligations since the beginning of human social organization, due mostly to apparent incompatibilities and inconsistencies between liberty and the sense of imposition or even coercion. Various frameworks have been proposed to deal with these issues, including social contract frameworks devised by Hobbes, Locke, Rousseau and Kant. More recently, and in the context of human enhancement, there has been the work of Martha Nussbaum and Amartya Sen who have proposed a capabilities approach in which an individual’s “functioning” is tied directly to the quality of their ability to act in society. 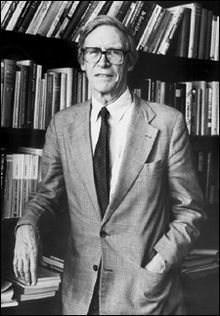 Quite obviously these frameworks have interesting ramifications for arguments in support of uplift scenarios, but the most potent methodology that can be applied to the issue of bringing nonhumans into the human social fold is the theory of justice proposed by philosopher John Rawls. While concerned with human society, Rawls’s theories reveal a high degree of relevance to issues of animal welfare, particularly when one ascribes a certain degree of moral worth and personhood consideration to sapient nonhumans. One of Rawls’s more important contributions to political theory was his concept of the original position in which individuals decide principles of justice from behind a veil of ignorance. The purpose of Rawls’s thought experiment was to weed out any preconceived notions of social position or privilege in order to devise the fairest of social arrangements – the general idea being that ignorance of one’s social position and capabilities will result in the creation of the fairest and most equitable of frameworks. As Rawls noted, in the original position “no one knows his place in society, his class position or social status, nor does anyone know his fortune in the distribution of natural assets and abilities, his intelligence, strength, and the like. I shall even assume that the parties do not know their conceptions of the good or their special psychological propensities. The principles of justice are chosen behind a veil of ignorance.” Rawls’s special claim is that all those in the original position would adopt a risk-minimizing strategy that would maximize the position of the least well off. Rawls understandably chose a reference class of Homo sapiens, but for reasons already discussed, there is no good reason to exclude nonhumans from this thought experiment. In fact, one could argue that Rawls provisioned, either intentionally or unintentionally, the inclusion of nonhumans by virtue of including psychological and physical propensities in the list. Consequently, Rawls’s veil of ignorance should also obscure knowledge of one’s species. Decisions about justice and fairness, argued Rawls, would ultimately lead to consensus on issues of rights and duties and the distribution of social and economic advantages. In regards to how these principles were to be executed, Rawls suggested that they be crafted in such a way as to be of the greatest benefit to the least-advantaged members of society. Considering that nonhumans are completely shut-out from the social contract and carry negligible social standing, they should be considered among the most least-advantaged (applying what is referred to as the difference principle). Quite obviously, even the most sentient and social of nonhuman animals lack the requisite cognitive and linguistic faculties to engage in advanced society; the human monopoly on what is regarded as “society” has arisen as a consequence of gross discrepancies in abilities. At first blush, therefore, social considerations for animals would appear to be a non-issue (and even nonsensical). However, pending enhancement biotechnologies alter this picture dramatically. For nonhuman animals these discrepancies in abilities qualifies as a deficient primary good required for the attainment of fair and equal opportunity. Like some humans who argue that they have fared poorly in the genetic lottery, it can be said that nonhumans have missed out in the species lottery. Thus, when considering agents who are provisioning for a just society in the original position, and considering that the reference class should include sapient non-humans, it is fair and reasonable to assert that they would make contingencies for the uplift of nonhumans given the availability of the technologies that would allow for such endowments. To do otherwise would be an unfair distribution of primary goods that are requisites for political participation, liberty and justice. As Rawls surmised, individuals in the original position would adopt those principles that would govern the assignment of rights and duties and regulate the distribution of social and economic advantages across society. Given the very real potential for biological augmentation some time later this century, the means to better distribute primary goods will eventually come into being and will by consequence enter into the marketplace of distributable primary goods. To deny nonhumans access to enhancement technologies, therefore, would be a breach of distributive justice and an act of genetic or biological exceptionalism – the idea that one’s biological constitution falls into a special category of goods that lie outside other sanctioned or recognized primary goods. Such claims, as argued by Allen Buchanan and others, do not carry much moral currency. Indeed, liberal theories of distributive justice necessarily provide for the elimination or mitigation of the undeserved effects of luck on welfare. Fair equality of opportunity, argued Rawls, requires not merely that offices and positions be distributed on the basis of merit, but that all persons have reasonable opportunity to acquire the skills on the basis of which merit is assessed. These skills, in the context of animal uplift, are the biological augmentations that would enable social interaction at the “human” level (at the very least). Critics contend that Rawls’s idea was to examine how a just society could be created no matter the socioeconomic or morphological composition of its members. The argument from Rawls, they argue, is that humans need to create an environment that will allow humans to be happy as humans and animals happy as animals. What this line of thinking fails to take into account, however, is the presence of those primary goods in society that, when not equally distributed, prevent persons from living a just life. As Rawls noted, each person has an equal right to a fully adequate scheme of equal basic liberties which is compatible with a similar scheme of liberties for all. The introduction of uplift biotechnologies will greatly perturb the sense that Homo sapiens is the only species on the planet deserving of our most fundamental values. While it can be argued that humans are obligated to integrate sapient nonhumans into a larger inter-species society, the question of consent must also be addressed. Unfortunately, no matter how hard we try we would never be able to convey the complexities of the issue to nonhumans, and thus, cannot depend on getting informed consent from the agents themselves. In this sense, it is a situation similar to the ethical quandary of genetic modifications and the consent of the unborn and young children. Consent (or non-consent), therefore, has to be deduced and inferred by proxy. Again, the Rawlsian framework offers a way to deal with the issue. As Rawls noted, the veil of ignorance hides knowledge of one’s actual psychological disposition. As already argued, psychological dispositions can be reasonably interpreted in such a way as to include the psychological and physical condition of nonhuman animals. Assuming that a nonhuman would participate in the original position experiment as a free and rational decision-making agent, it’s not unreasonable to conclude that they would, like humans, come to the same set of principles designed to protect the interests of the entire reference class. Persons in the original position, it is reasonable to say, would be very concerned about incarnating as a nonhuman animal and would undoubtedly work to ensure that all the safeguards be put in place to protect their potential interests. Moreover, knowledge of how uplift biotechnologies could better disseminate primary goods among the species would most certainly be a weighty consideration. Actors in the original position would employ game theoretic logic in making their decisions, employing the maximin strategy in which choices produce the highest payoff for the worst outcome. The prospect of coming into the world as a great ape, elephant or dolphin in the midst of an advanced human civilization can be reasonably construed as a worst outcome. Therefore, humanity can assume that it has the consent of sapient nonhumans to biologically uplift. Less conceptually, there is an alternative way in which both consent and uplift efficacy can be determined: uplift sampling. Rather than uplift an entire species, several individuals could be uplifted in order to assess the effectiveness of the experiment. Uplifted animals could conceivably act as spokespersons for their species and provide a valuable insight into the process and whether or not the change was desirable. A future world in which humans co-exist with uplifted whales, elephants and apes certainly sounds bizarre. The idea of a United Nations in which there is a table for the dolphin delegate seems more fantasy than reality. Such a future, however, even when considering the presence of uplifted animals, may not turn out just quite the way we think it will. Intelligence on the planet Earth is set to undergo a sea change. Post-Singularity minds will either be manifest as cybernetic organisms, or more likely, as uploaded beings. Given the robust nature of computational substrate, intelligence is set to expand and diversify in ways that we cannot yet grasp, suffice to say that postbiological beings will scarcely resemble our current incarnation. In this sense, “postbiological” is a more appropriate term than “posthuman”. The suggestion that posthumans will live amongst post-apes and post-elephants misses the point that a convergence of intelligences awaits us in our future. Our biological heritage may only likely play a very minor part in our larger postbiological constitution – much like the reptilian part of our brain does today in terms of our larger neurological functioning. And like the other sapient animals who share the planet with us, and with whom we can claim a common genetic lineage, we will one day look back in awe as to what was once our shared biological heritage. Paul Raven of Futurismic responds to George’s essay here. George responds to Paul here. Then Paul fired back here. Wot? Still no comments? … Oh well here goes? When I first read this article I had problems with acceptance, and still do with this vision to some extent. Does it in fact go too far? This article seems to point to everything that the bio-luddite camps fear and find abhorrent, that labels transhumanism as dangerous and to be shunned? This is the type of topic and article that the Tom Horn camp finds tasty and sensational and can be utilised as evidence to encourage support against future progression? So where is the ethical debate? Are we too blown away to think this deeply? I must admit to having my own problems with this area of futurism that really is no longer transhumanism but trans-animalism? Nor am I in favour of the future toothless Lions and Tigers, as espoused by bioethicists such as David Pearce. The idea that we should enforce the rights of the Lamb by forcing predatory species to become vegetarian still seems wrong to me, no matter how one argues it? And yet here we all are, arguing in the name of justice for inter-species, when most of us humans still aspire to eating animal flesh ourselves – what hypocrisy! However, to take one step back from the enormity communicated by this article, and examine the current situation and relationship we have to certain species. We manipulate and cultivate plants, integrate and splice plant forms for the aesthetic and to protect species. We inoculate and provide veterinary care for livestock, and sometimes, just sometimes, we do our best to protect species and some ecosystems. We do in fact love our pet animals. We take care of them, provide for their food, their diets, their healthcare, their birth control, and not merely in the short term. Most of us love our animals to the point where there is often no expense spared, and we all absorb long term health care costs and medication such as thyroid, kidney conditions, even diabetes and heart conditions. Now this behaviour seems acceptable with respect to this traditional relationship we have with domesticated animals, although we may also question as to why we keep animals as pets in the first place, and examine why and how we project our humanity and abstract notions of love towards them? Are they not to be treated with love and respect like innocents? Yet should we presume to project our notions of justice and equality towards the animal kingdom? Do we really have right to suppose that we are not imposing upon species of our own subjective notions of reality and existence? And this is where it all gets “sticky and messy” for me..
“Therefore, humanity can assume that it has the consent of sapient nonhumans to biologically uplift. We need to debate this fully and continually. Presently, this type of rationalisation seems to me to be built upon false premise, on assumptions, of proxy vote based upon suppositions – and yet moreover, because we are subconsciously projecting our own wants and needs, (a form of selfish intent), and using pseudo liberal ideals to justify this position? When I was aged 14, many years ago, I read a book.. “The Island of Dr. Moreau”, by H.G. Wells. Not really promoted as one of his best, or perhaps because of being one of his more controversial stories? The story line progresses with the best of intentions as the protagonist aspires to the kind of naïve liberalism expressed here, and yet dreams fall asunder as Wells shows that it is the doctors own failings, his presumptions, his expectations of human values upon animals and species that leads to loss of direction, love and enters into catastrophe – what once began as liberal ideals turns instead to fascism, and all in the name of liberal justice? Now I am not saying that these failings cannot be avoided, or that the direction of this well intended article and it’s ideals are wrong. We all want to extend our reach, communicate and even care for other species; we want to spiritually connect with nature, we want to talk to the animals, to find out how they think and feel? And yet all of this really hides our subconscious projections and memes that really have no meaning nor validity where other species are concerned? It is not our place to presume by proxy that apes, whales, dolphins, elephants and etc want to be like us, or even have our values of justice and behaviours? If we wish to communicate and attempt to find out how they think and feel, then we must do this on their level, and not presume to raise their intellect merely to serve our own purposes for connection and communication? “Project X”, (Matthew Broderick), is one of my favourite films, and it perhaps portrays a possible future of respect, which is nothing more nor less than an ethical position that we already fully understand? 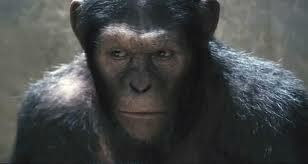 Am also looking forward to the new movie “Rise of the Planet of the Apes”, hopefully this will be more than just another expression of social justice, and help to explore more of the ethical issues expressed in this article? With full control over the state of our own minds through cybernetics, we could place ourselves in a temporary condition where we cognitively become animals, and then communicate with them. I imagine we would do something like put a timer on it (a lifeline/skyhook - to extract us from the state at a pre-determined point). This would allow us to communicate directly with those animals and extract something of their experience as the thoughts and memories from this experience are analyzed. Basically, what I’m saying is we temporarily descend to their level. The transhuman mind will be capable of doing this without danger to self or identity. Take some DMT and go talk to them. Loike, J.D., and Tendler, M.D. Reconstituting a Human Brain in Animals: a Jewish Perspective on Human Sanctity and Chimera Research. (Kennedy Institute of Ethics Journal, accepted upon revisions, 2008). It seems reasonable to suppose that uplifting non-human animals is a moral duty. I was thinking about the possibility of “downlifting” them if they decide that they do not want the higher mental faculties. Maybe “uplifting” should not begin before we have the technology to “downlift”? Is not “uplift” sampling morally abhorrent if you dont have the opportunity to restore the sample animal to its original intelligence - level? Sampling would be harmful for the sample - individuals, if they would suffer more with the uplifted cognitive capacity. One should take into consideration the samples, even though they are only individuals and not an entire species. 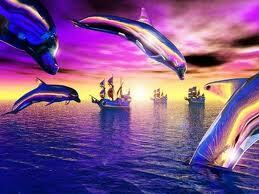 There would be suffering even though it is not the whole species that is being uplifted. Leaving aside the technical aspects that we don’t yet know how to do this, the ethical questions appear to be a “moral obligation” on one hand to improve the lot of our non-human siblings, and the “self-determination” of those same siblings on the other. George suggests that we have an obligation to uplift sentient species so they can be full members of our society. This is based on the idea that living in the natural world without technology is a bad thing. I would agree with Paul that before we start trying to create non homo sapien citizens we need to do a much better job relating to homo sapiens who are different from us. Not just those who are in a different culture, but those who are different from us within our own culture. One just needs to peruse the comments on the Emerging Threats, or Obsolescence of Religion threads to see this truth. The problem with the argument on the basis of moral obligation is that it assumes that we in fact have got it right. On the contrary, I think we humans have got it wrong and are getting more wrong on a daily basis. The gap between rich and poor is growing globally as all measurement of people’s contentedness or happiness suggest that we are less happy than we were before. The rampant technological/consumerist society we live it is destroying the world and at the same time creating more political and personal apathy than ever before. There is no moral obligation to raise sentient animals to human levels before we humans are able to raise ourselves to real human levels. I would measure real human level by our real compassion to others locally and globally. When every human being is fed, clothed, sheltered, educated and safe from violence I will concede that we are on our way to true humanity. When we treat the earth with respect instead of a stash of treasure that can be raided with no cost and no thought, I will suggest that we are at the point when conceivably have a real discussion about the relative merits of being human or animal. I think Paul nails the self-determination argument so I won’t belabor here. I will say that until we have the ability to get informed consent from our animal siblings to play around with their genetics we have no right to do so. The argument that we use implied consent in working with fetuses and children doesn’t work since there are parents who give consent and are willing to take the heat if the procedures fail. The suggestion that all this will be resolved after the singularity is like saying we will have the answers after the Second Coming. It doesn’t give us the right to act before the event. Ethics isn’t around to support what we want to do, but rather to force us to look at what we want to do, and ask “Should we?” and have objective ways of holding the discussion. (As English isn’t my native language I apologise in advance for possible grammatical/spelling errors) Personally I can’t really reconcile with the ideas presented. Although harbouring transhumanistic ideals myself to some extent I strongly feel that thees ideas concerning duties and responsibilities towards animals takes the argument a tad to far. It is too detached from reality. I think that somewhere in this discussion it is needed to bring in the biological aspect of life, the “purpose”, and the fact that not even the slightest sliver of a percent of life on this planet is sentient. We are but a fraction of the DNA-based biomass, and yet we hold the existence of most other life hostage with our conscious nature. We are constituting the game rules for increasingly more sets of the phenotypically ascended DNA-functions that animals and plants are. From a strictly evolutionary point of view the argument of animal elevation holds no merit, just like the notion of pacifying animal interactions in the attempt to eradicate suffering. Do we want to permanently break the evolutionary process for more species than our own and the livestock that we keep, or should we rather aim at being the responsible gardeners and zookeepers that we are slowly heading for in some areas? For the day will come, mind you, when life others than ours, the homo evolvus, won’t be necessary for the sustenance of our well being. Why then will we keep life around? Because it’s pretty? I for one can’t really see the point of elevating animal intelligence and emotional spectrum to match the human or post human mind. This act would be, like noted by others here, a purely anthropomorphic projection, and we couldn’t possibly call the elevation finished until the animal in question were a replica of ourselves, for it to be a high functioning zitisen. The post zebra would still only be a zebra with a human mind and still without opposable thumbs. Which animals qualifies as candidates for the uplifting procedure? Do we elevate the whole spectrum from blue whales down to nematodes? The article mentions animal potential as reason to duty to carry out the uplift deed, but I feel that this is grossly misplaced concern. Animals do in no sense have the potential of human thought (Yes, many animals do express thought, and most have emotions in some sense). Were we to enforce this quality it would be extrapolation, not utilization of untapped resources. Just because my coffee mug is an inanimate object, it still got a potential of having sentient conversations in a distant future. Reductio ad absurdum. I think the bottom line is that we do not need to decide now. When we enhance our own consciousness through BCI, we will be better equipped to answer this question with an enhanced sense of ethics. When we are capable of reaching and communicating with the minds of animals, we can see if we can obtain their consent. It’s a problem to consider after we have the technology to do this. For the time being, I’d say stay away from it until we are better equipped to answer such questions. We don’t have to solve all problems today. Ah, destiny, that shimmering notion that ever instills hope in downcast humanity and beckons with glorious, effulgent fata morganas so seemingly within reach. What bland self-assurance on Dvorsky’s part that his tower of assumptions will lead to an outcome that will “uplift” animals. And what is unjust about leaving “the animal kingdom alone to fend for itself?” It is Dvorsky who wants to anthropomorphize animals; for him, the crown of creation clearly rests on human heads. Just as each person must decide by rational reflection what constitutes [his or her] good, that is, the system of ends it is rational to pursue, so a group of persons must decide once and for all what is to count among them as just and unjust. For Dvorsky, animal uplift would be part of the just decision; any omission of raising animals to sapient non-human status is unconscionable. But what Dvorsky advocates is not species egalitarianism or Rawlsian fairness. It is human paternalism raised to a new level of magnitude by scientific intervention. Dvorsky’s uplift husbandry is simply another form of animal exploitation as transhumanists, not ever content to leave anything alone, would without a doubt proceed to use data-mining techniques on sapient dolphins, and subject newly sapient gorillas to ongoing controlled studies. Such uplift would also provide additional pretexts for eliminating habitat as animals become increasingly anthropomorphized and less dependent on “nature” (unless, of course, the sapient animals do the sapient thing and form a political bloc that acts to marginalize human activity). Even Dvorsky’s version of the original position is wrong and self-serving: just because a person in the OP “would be very concerned about incarnating as a nonhuman animal,” it does not follow that a wasp would ever want to swap with a WASP. Plus, what would be the scope that Dvorsky, our new-fangled Noah, would apply to creaturely uplift? Would he include parasitic worms and amoeboid protozoa? Or does even his pan-species embrace admit to some limits? What about disruptions to ecological interdependencies during uplift? Oh yes—duh, I remember now: the advance of transhumanist technology will automatically sort all that out for everyone. The more you bask in the sunny rays of destiny the more you find they actually are smoke and mirrors. Let’s recap: Rawls stated that rational reflection and human decision-making count in terms of justice. Unlike Dvorsky, I see no Rawlsian-style consensus on uplifting animals as an imperative of justice or destiny. Which is not to say that human beings, particularly those who pride themselves on being rational decision-makers, are likely to choose what is just. More likely Dvorsky’s uplift will merely herald a next-generation phase of animal experimentation for human benefit. Humanity, with its chronic alienation and its laughable yet obsessive metaphysical appetites, has made the world a puzzle that it finds itself obliged to solve. Why in the world look upon animals as degraded and in need of some fantasist’s yearning for vertical integration when that integration will mean, for the animal kingdom, its varied creatures being dragged into a genetico-technical hostile takeover by their longtime persecutors and exploiters? Even a child can recognize and admire that it is the animals, and not humanity, who are in greater equilibrium with their surroundings (that is, wherever animals are not impeded or destroyed by human impositions on their environment) than human beings can ever hope to be. These are some of the best comments I have read on ieet!